After making its successful debut at the Geneva Motor Show in January 2015, the third generation Hyundai Tucson 2016 crossover pulled its curtains off, revealing the U.S specification at the New York Auto Show. The new member in Hyundai family aimed at more mature audience, while simultaneously the pronounced body line grabbed the eyeballs of younger crowd. In all it can be said that a much planned motor is all set to rule the streets in 2016, but is this all what makes a car into a super car? Or say the lord of the streets? The journey began back in 2004 with Elantra followed by the sportier look model in 2010, but against the company’s expectations the model invited massive downfall in sale. Seems this turned to be the reason that company tried to modify, worked things out and is now knocking the modern car market with all new redesigned Tucson 2016. 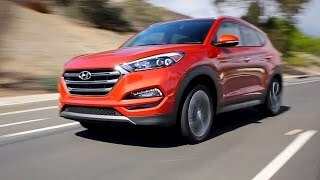 Now what is to be seen is, will this redesigned model take the Hyundai to a state where it can very well compete with Ford Escape and Jeep Cherokee? Let us see some of its technical details followed by a closer look to its interior and exterior. May be that’ll be when we’ll be in a position to make the right decision. Now let us take a look at the Interior and other features and see if the new Tucson 2016 is worth money and your presence. The Tucson 2016 model has received the most needed overhaul for its cabin. With its more premium looks and soft touch materials the team Hyundai has well managed to grab the attention. Inside you can also notice more passenger space and cargo space as well in comparison to the previous models by the company. The touch screen attached at dashboard with the metal look bezel and the air vents giving it a look what one sees for. Apart from these also the steering wheel is much more times better than that present in the previous models. 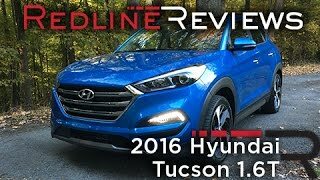 In all we can say it that the Hyundai Tucson 2016 interior is worth the time and money. 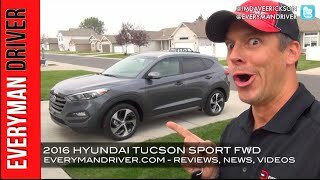 Now let us see what the Exterior of Hyundai Tucson 2016 holds for its buyers. For Tucson 2016 the company has put his emphasis on giving it a bolder and upscale look and being precise they succeeded. The hexagonal grille with vertical stats and the entire fascia holding more upright look. The lower apron of Tucson 2016 ads up with set of horizontally fixed fog lights, giving the model a wider look. The slimmer taillights at back and redesigned lower bumper and tailgate pursue the adult theme of small SUV. 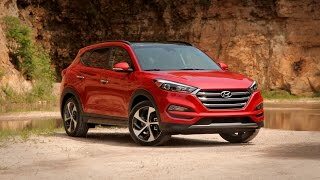 On the whole we can say that the Exterior of Hyundai Tucson 2016 with its all changes is definitely a star for the model and gives him the badge to stand in line with the hot seller like Sonata Boasting. For any vehicle just like its Interior and Exterior, performance too matters. Being to the point, loyal performance too holds a significant role in making a model successful for long run. With its gasoline engines the company has also placed more options for their buyers in Europe. This for their European market might turn up as a positive side but as for the U.S market two options are offered and this invites a question indeed. Will the model be able to survive in front of its competitors? 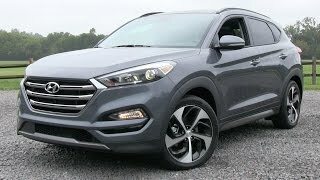 Being practical the market is most unusual place one can be in today’s era and with these series of un-expectations we can just wait and see to the buyers, as to how they welcome this new redesigned Hyundai Tucson 2016.